I like listening to a lot of albums. But sometimes, I like listening to a genre radio- like the jazz genre radio on Spotify. This allows me to hear songs at random that I may not listen to instinctively, and gets me exposed to new artists and albums that I haven't listened to a lot or haven't heard of. So this past week I was listening to the jazz radio on Spotify, and I heard "Ain't Misbevin" by Fats Waller. I have listened to this song before, but I haven't listened to a lot of Fats Waller. After listening to this song, I went home and listened to a lot of his recordings. 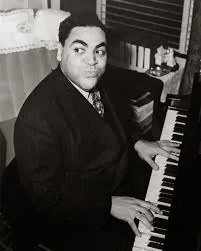 So I guess this week I really "rediscovered" Fats Waller, even though he was a jazz stride pianist from 1904-1943! I like Fats Waller's playing because it is very pretty, but also very comedic. Whenever he sings he really tries to be a show person, and make people laugh. I like this song because when I listen to it, it is very easy to sing along to, and it makes me smile because it is so laid back and happy. One reason I'm very happy about "rediscovering" Fats Waller is his solo piano playing. He plays stride piano, which was a style of early jazz piano from New York in the 20s and 30s. This song is another original composition of his. 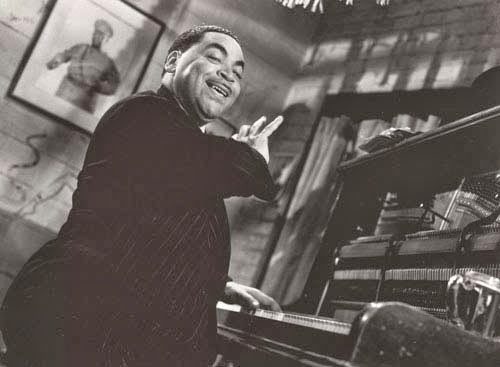 "Honeysuckle Rose" and "Ain't Misbehavin" are two of Fats Waller's most famous songs. Fats Waller "I'm Gonna Sit Down and Write Myself a Letter"
Along with rediscovering Fats Waller- I discovered a lot of "new" jazz songs that I have never listened to. One of these is "I'm Gonna Sit Down and Write Myself a Letter". This song is very pretty, and Fats Waller's singing seems very honest and from the heart. I also like the extra instrumentation, like the trumpet and the clarinet in this version. When I discover or rediscover a jazz artist, I like to go and listen to a lot of their music. I also like to look up their biography, and learn about the style of music they played and the time period they played in. I think this helps me understand the music more and learn about the many different styles of jazz. Then I can go and listen to other musicians from the time period and style. Leave a comment below saying any jazz artists that you have discovered or rediscovered lately! Is there a problem with jazz?